The free point of sale program designed to save you money. 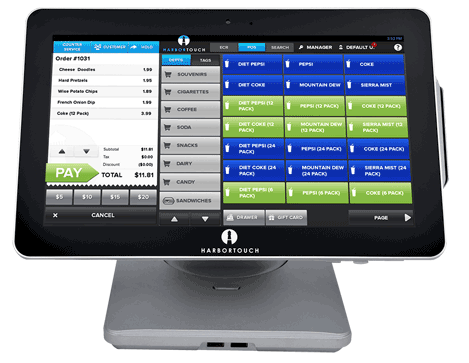 Harbortouch offers you the best rated free POS systems for restaurants, bars, nightclubs, retail stores, small business, salons, and spas. How it works – apply for our program to receive free POS equipment with no upfront cost, a small monthly fee covers service and support. Contact us today to sign up or complete the form to compare options so you know you’re getting the best deal. 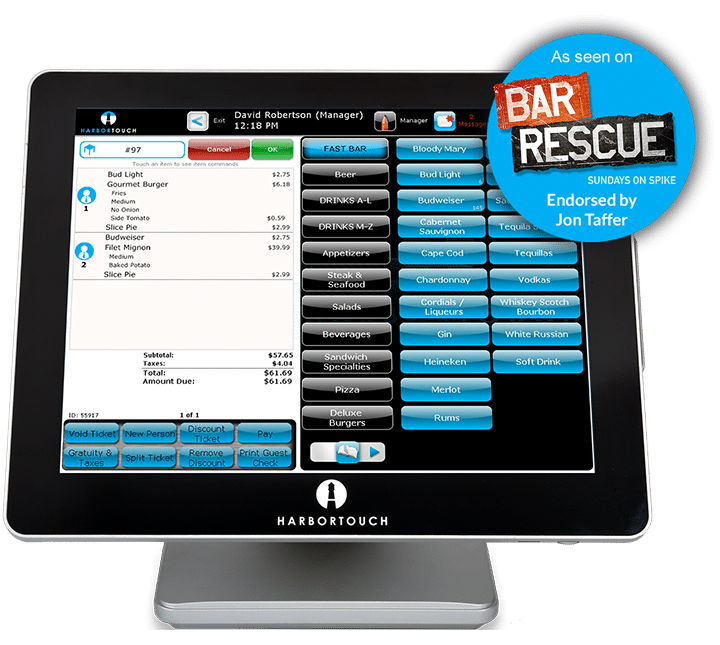 Harbortouch Bar & Restaurant is one of the top rated and best POS systems on the market designed for restaurants, bars, nightclubs, and hospitality environments, but it doesn’t stop there. Built specifically for high volume restaurants and bars, the Elite POS is feature-rich and can work with any hospitality or dining establishment imaginable – no matter how big or small. Restaurant POS systems should be easy to use, reliable, and cost-effective. Harbortouch Bar and Restaurant checks all the boxes. With free restaurant POS software, hardware, menu programming, training, and installation anywhere in the USA, you get everything you need to replace your old system or to be ready for opening day. With Elite, you also get all the top restaurant management system features, equipment, and functions required in a bar and restaurant, without the astronomical upfront costs of the big brand name companies. 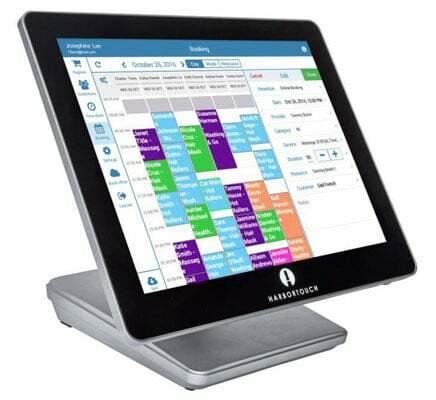 With the Harbortouch hospitality software and hardware, we offer the most comprehensive and complete point of sale solution on the market for restaurants and bars. Don’t take our word for it; watch what Jon Taffer of Bar Rescue has to say about it. Harbortouch Checkout is our new flagship free retail POS system designed to fill a gap in our product offerings between very small and very large retail businesses. Checkout is best for retail shops like clothing stores, shoe stores, electronics store, hardware stores, dollar stores, sporting goods, office supply stores, flower shops, mechanic/auto parts, toy store, novelty stores, jewelry stores, craft stores, cosmetics, pet stores, and furniture stores as a few examples. Checkout delivers a robust feature set with an intuitive and user-friendly tablet interface, operating on Harbortouch’s powerful Elite 3 POS hardware. So if you wish to have the best POS solution, so your retail store is performing at the highest level, contact us to speak to a POS specialist and get a free consultation or product demo. The Echo free POS equipment offer is unlike any other deal on the market. Imagine getting the functionality and speed of a “traditional” point-of-sale system with the intuitive design of a tablet – at a price that is exceptionally affordable and predictable, only $29 per month. Ingeniously designed, Echo is for smaller do-it-yourself merchants that want something more robust than our free Casio cash register, but don’t necessarily need the added features and functionality of our Elite free POS system. But don’t be fooled, Echo is still mighty and robust software that is not only very user-friendly but also has a nice and small hardware footprint to save your valuable counter space. Finding a quality product that performs all the tasks required and that has all the features needed for the salon and spa business is challenging. That’s why we now offer dedicated software and terminals designed for the industry that is specifically for hair salons, nail salons, and spas. Harbortouch Salon and Spa will also operate a broad range of health and beauty shops, including nail salons, hair salons, spas, barber shops, gyms, fitness clubs, massage therapists, tanning salons, beauty schools, massage parlors, pet groomers, tattoo parlors, and much more. Harbortouch Quick Service Restaurant (QSR) is our Elite product explicitly designed for fast-paced, quick service and delivery restaurants that require speed and accuracy. Our QSR equipment comes pre-configured with dedicated restaurant management software and a menu layout built to take advantage of our programming speed and functionality for quick service restaurants, fast food restaurants, and delivery business environments like pizzerias. 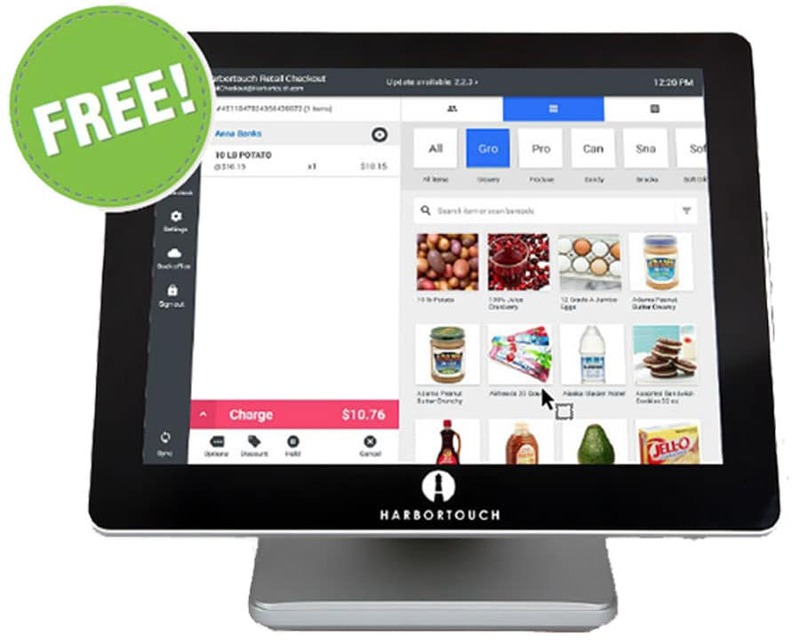 With Harbortouch’s free POS program, we’d be remiss by not adding a retail point of sale system to our product line of software and hardware products. 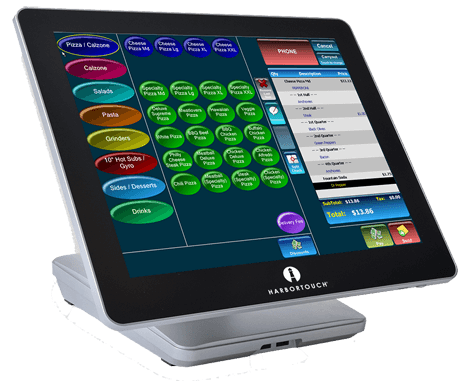 Introducing Harbortouch Retail (Advanced) – which includes state-of-the-art retail software and hardware that combines to create a complete retail POS bundle for nearly any business type. Our retail POS solution is a very robust and includes a feature-rich touchscreen terminal and software created with automated programming in place to help make your day-to-day business operations much more manageable and to make your business more profitable. 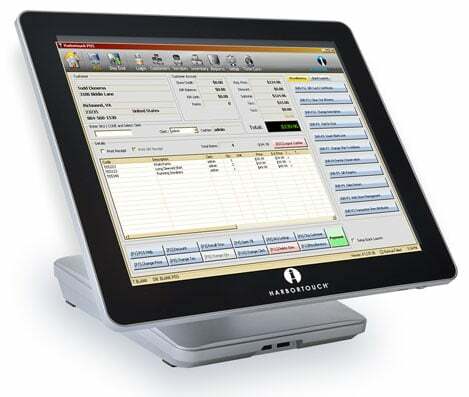 For smaller retail businesses, we recommend our new retail POS solution, Harbortouch Checkout. HT Retail is designed for larger business environments like department stores, grocery stores, bookstores, beer distributors, or stores with over 10,000 SKUs.